Every week, people from different backgrounds and generations join as one to unite in worship as a family at CityGate Church. From this place of worship, they go back to their homes, schools, and workplaces as carriers of the joy, hope, and life found in the presence of God. Every member of our team believes that true worship happens when we put our minds attention and our hearts affection on the Lord in response to who He is and what He has done. We believe that worship is not something we just do on Sunday, but it’s a lifestyle. 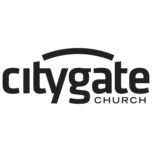 The music ministry of CityGate Church has echoed throughout the city of Cincinnati, and now, the world. Our LIVE Broadcast is seen in more than 300 countries across the world and through the likes of social media and technology, our music is shared in different facets everyday.